Just stopping by or browsing online to check our clearance merchandise beats out what the competition has to offer. One stop at our showroom or our online storefront and it is easy to see why we are the preferred resource for all things related to home furnishing in the Northern Ohio region and beyond. For more than 20 years now, we have worked hard at Amish Originals Furniture Co. to keep a good working relationship with our customers as well as the 80 plus families within the Amish communities in Ohio we work with. It is part of what sets us apart from all of the rest of the competition. Of course, we realize it is the high standard of quality handcrafted pieces we are able to offer our customers that truly sets us apart. Just think that for each piece you choose, you also select the high quality American hardwood that will be used and the finish that will complete the look. From there each piece you select will then be handcrafted. That truly makes your selections one of a kind. The time honored craftsmanship that goes into creating your furniture is part of Amish family traditions that have been passed down from generation to generation. 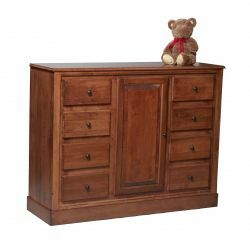 Of course the furniture you receive is also of the best quality that can be passed down from generation to generation. The furniture building process used creates no waste. All the remaining scraps are further utilized for things such as fuel or livestock bedding. The solid hardwoods used do not emit formaldehyde. The pieces are transported by truck less than 100 miles from building locations to our showroom. Furniture is blanket wrapped so that disposable packing material isn’t used. The bottom line is that we care about our customers, community and environment. When you are looking for the best choice for children’s furniture Columbus, Ohio has to offer, look no further than the Amish Originals Furniture Co. name.